Summer is winding itself down into wisps of nostalgia….but there’s more fun is right around the corner! 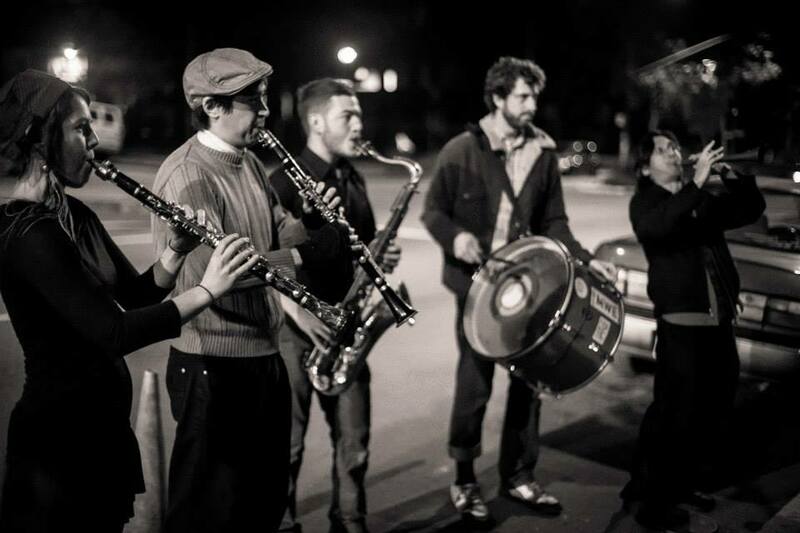 The fall season of the Berkeley Balkan Bacchanal is set to kick off soon! Our first show will pick up the party right where we left off in June. Sabaya, MWE and La Pêche! The Bacchanal is excited to kick off the night with Sabaya! Sabaya is Diana Strong (accordion), Briana Di Mara (violin), and Faisal Zedan (percussion) — a newly formed trio of accomplished Bay Area musicians, performing traditional and original melodies inspired by the music of the Balkans and Near East. With rich harmonies, danceable grooves, and soulful improvisation– joined by special guest Morgan Nilsen on clarinet– Sabaya (meaning “the girls” in Arabic) is more than just the girls! If you were at the show in June you know that MWE nearly blew the roof of the joint! Yes, their name is enigmatic, but MWE’s magical sounds are no mystery…a Middle-Eastern marching band consisting of one zurna, one davul, one saxophone, and two clarinets and 1 million decibels! With nearly half the band returning from gigs and workshops across the Balkans you can expect a super-charged MWE experience. 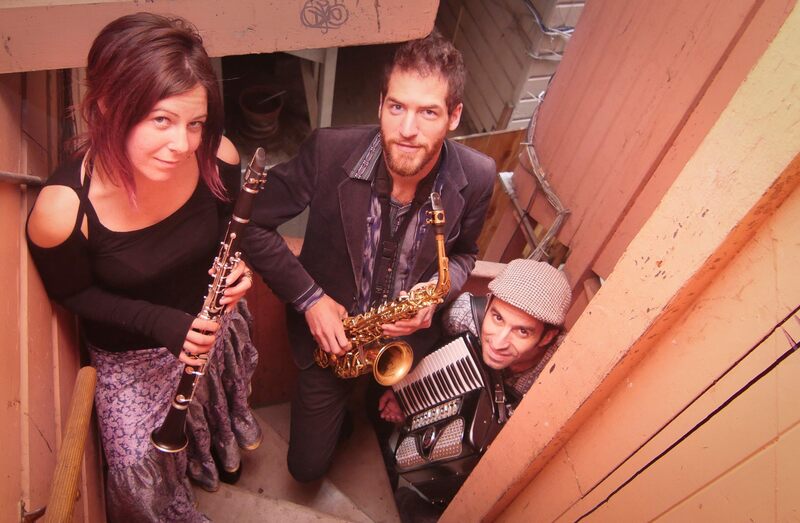 Born out of a weekly residency in 2013/14 at the legendary Revolution Café in San Francisco, La Pêche quickly grew to become one of the major players on the Bay Area Balkan scene. Led by French-American saxophonist and composer Paul Bertin, the band features Eastman graduate Morgan Nilsen (La Misa Negra, Mc Rai, and a student of David Krakauer), Ofir Uziel (Inspector Gadje), Izzy Wise (LoCura, Istanbul Connection) and Jonathan Selin (Tiger Honey Pot). La Pêche is an unique voice in the bay area music scene, as the only band to focus on the very upbeat and melodically rich Romanian music. Yet their extensive knowledge of musics from the Balkans, Turkey and the Jewish tradition, allied with a strong artistic sense of composition make them one of the most versatile group available today; be it at a concert, wedding party or on a street corner in the mission district, their performances are always an irresistible call to dance, and a dazzling feast for the ears !